tho its not projecters, i think it looks the best because it fills up/no gap between the top of the lights and the headlight cover like everyones projecter swap. The light output was awesome in those..
Last edited by Hypertek; 12-25-08 at 12:15 AM. Last edited by HOZZMANRX7; 12-25-08 at 02:10 AM. That's because there's been friction between that forum and this one. Hypertek, our local parts guy had two JDM front clips he was parting out and I mentioned to my friend jokingly, who was looking for new housings at the time, that he should check out the headlights on the clips as one may be a total diamond with some Raybrig housings. Well, sure enough one of them actually DID have Raybrig housings and he snatched em up for 100 bucks for the pair. Those are supposed to be the best 6054 H4 housings you can get too. Last edited by EJayCe996; 12-25-08 at 08:28 AM. take it and copy paste it in your browser and then remove the . that will take you to the thread. i wouldnt get the hids for my car if they worked like they were designed to. yeah they are pretty nice.... 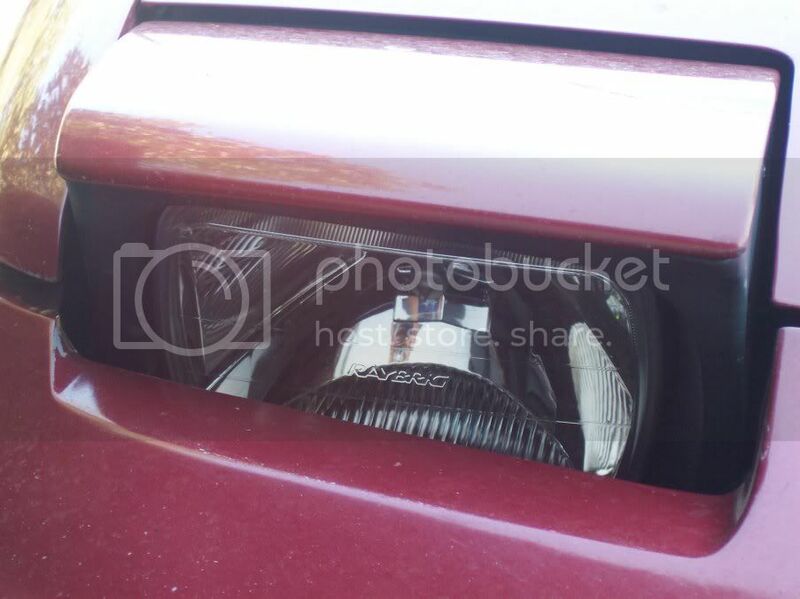 I should have removed em from my s13 and threw some cheapies on it when i got rid of it, but at the time i wasnt thinking id get another car wiht the same type of headlights again lol. What would look sick is NSX headlights, low profile and exotic. Last edited by Hypertek; 12-25-08 at 05:10 PM. I know, and regardless of how many times you try to give good information, maybe 1 and ten will actually listen? I get blinded driving my lifted Jeep by ricer civic punks with wrong HID conversions. Every time I pass them I wonder what tread prints would look like acorss thier forehead. Actually - Thank you for the heads-up with this. I had the idea to do exactly this and hoped to find some insight from somebody else that had done this. I can't wait to do this mod! Looks good from the pic. Are you retarded? Or high? That is probably the WORST HID setup. Seriously pal, go talk about -40 offsets and balling 20/18 coilovers and stop giving advice on **** that you don't have a ******* clue on I'm sick and tired of people like you giving out horrible advice and misinformation. Do a little research first....... **** it.... it's not worth it. Titanium, I'm agreeing with you so far. You would be a good disciple of Daniel Stern. And if this was some random HID retrofit kit to go into some random E type housing, I'd also agree on the surface. But I think you've let yourself get a little too broad brushed in your opinion in this case. The issue is random retro fit kits are misleadingly advertised as DOT approved (which pisses me off as well) as that would be only true if their bulb kit were put into housings that were specifically designed and approved FOR HID's. The issue is folks are taking these HID kits and, as you've pointed out, putting them in mismatched housings designed for H4 Halogen bulbs. So the HID bulb companies are insulated from legal action as they can't be responsible for consumers NOT putting their bulbs in correct housings. 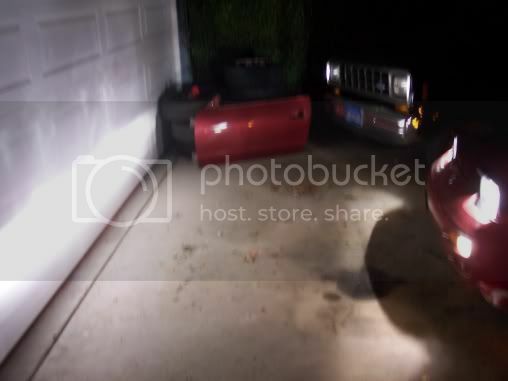 To this point I've not found anyone that actually makes direct retrofit housings that actually ARE designed for HID's. Core point, the mis-match of HID's into H4 housings is what creates the glare issues you're talking about. I will say that, as a bit of contrary, I have seen that Hella H4 housings seem to have light beam flooting that do a reasonable job managing the HID glare compared to most any other I've seen including CIBE. Anyway, I did a quick Google, and Sylvania indeed advertises this particular bulb/housing kit as STREET LEGAL. What they've done is Hybrid Halogen High Beam with HID low beam. That being the case, if they weren't "street legal" they'd be exposing their very deep pockets to legal wolf packs. What Sylvania has also done is offer a companion HID driving light kit so you can get the "Highest light output for your car". Great minds, eh? Here is another URL on this specific product that presents whats what. "All Sylvania Products are 100% Street Legal. All references to street legal is referring to Sylvania products." Said differently, for a the list price of $900 indicated on the e-bay auction (and $1,165 on this other web site) they damn well better be DOT legal. Last edited by HOZZMANRX7; 12-25-08 at 07:54 PM. TTT is full of win! 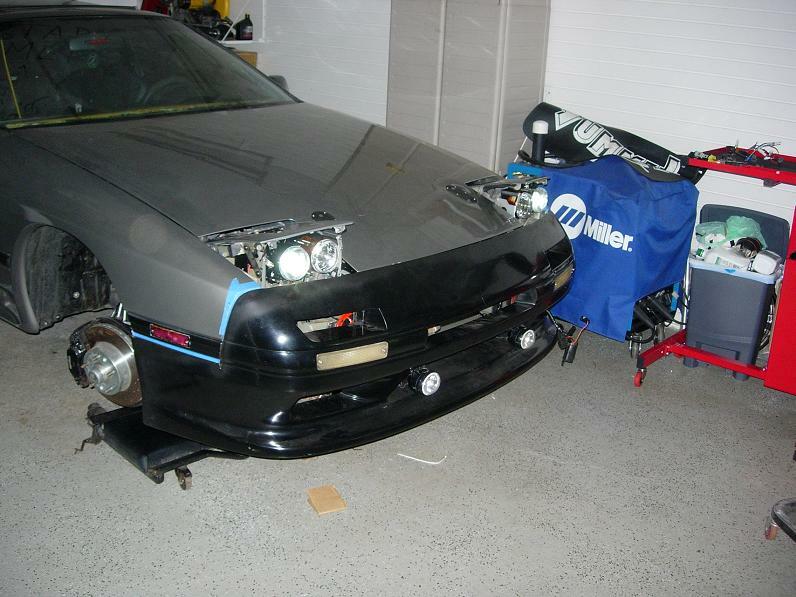 as soon as I get some spare cash to build myself a kit for my new FC, i'll be working on some shrouds. well...I won't personally, but I'm going to take the entire car to a local body shop that specializes on custom fab work and I'll be paying them to make me a run of shrouds. That right there is some interesting reading. I continued on that page where they actually listed the laws that they conform too. My curiousity is peaked. I would love to see one of those kits. Hell, for the price of the E-bizzle auction I might just pick up a set for the Jeep.